Sisterhood is survival. Enter a world of rollicking seas and bloody conflict, where Caledonia Styx and her brave crew sail on the Mors Navis in search of freedom. The Net is controlled by a brutal warlord who captures young men and women, forcing them into his service, and after having her family stolen from her by his army of Bullets, Caledonia not only wants peace - she wants revenge. When a boy from Aric Athair's fleet ends up on her ship, she is faced with a choice: protect her sisters, her crew, and throw him overboard, or use the knowledge he offers her to take the warlord down. Natalie C. Parker's Seafire is captivating from page one. It takes you from invigorating battles, filled with fire and fury, to tender and poignant scenes between Caledonia and her crew, all of it painted upon a backdrop of vivid worldbuilding. 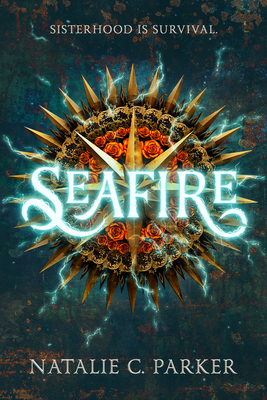 If you enjoy tales of pirates, high-stakes adventures on the high seas, and girl gangs, then you'll love Seafire!